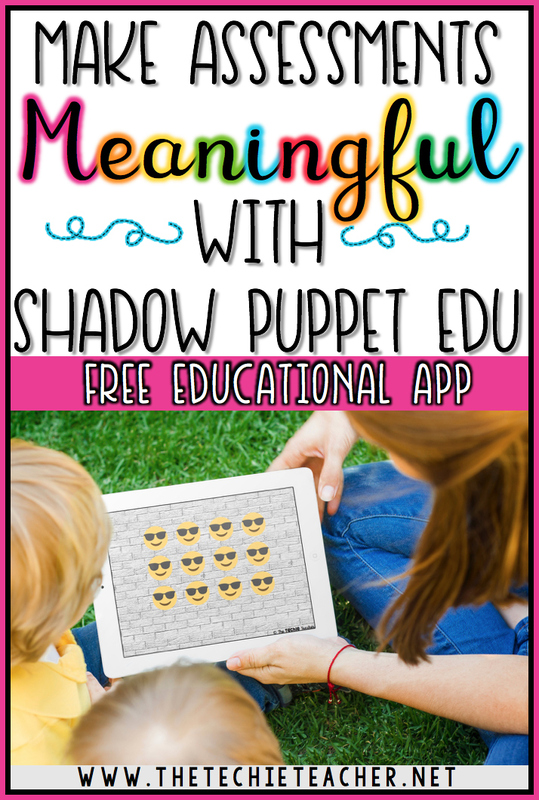 Make Assessments Meaningful with Shadow Puppet EDU | The Techie Teacher® . What makes an effective assessment? Effective assessments are able to tell us A LOT about a child and his/her academic needs whether that be where they struggle or where they need to be challenged. They should promote student learning. 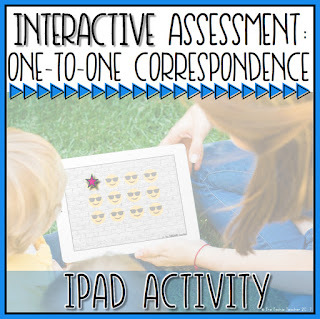 I really like the idea of alternative assessments since they focus on what students can do rather than placing too much emphasis on what they can't do. What makes an assessment effective? Open-ended: Not all children (even adults) test well. Multiple choice and true/false questions can be misleading from time to time. A child who has a solid understanding of a certain topic can easily bomb a test if he/she has challenges reading the words on the assessment (ie. dyslexia, vision impairment, etc.). Therefore, giving a child flexibility and ownership to explain their thinking is important to me. Yes, it can make grading a bit more challenging and can be somewhat subjective; however, it is effective for the child. Techhub has a huge list of open-ended/alternative assessments that you can read about HERE. Interactive: Regardless of age, most people cringe when they hear to words test, quiz, and assessment. They can be boring, tedious and knowing you are being judged on your knowledge can be extremely daunting. How can we alleviate these feelings for our students? Making assessments interactive where the child doesn't even know they are being tested is a true passion of mine. Ability to Voice Record Student in Action: Being able to voice record a child demonstrating their thinking process is invaluable. Not only does it speak volumes about a child's academic and verbal capabilities, you also have a solid piece of evidence for eligibility meetings whether that is special education, a gifted program, etc.. So many times I had a struggling student who I KNEW needed services but took over half a year to be found eligible. One of the big elements to an eligibility is trying to prove the child's strength and weaknesses through assessment results. You also are able to show parents exactly how their child is performing in school. Having recordings of students in action could be very powerful for situations like these. Do I think we have to record students all of the time? No. But it can be very beneficial when you have a few recordings to compare throughout the year! Store them in an online portfolio program like SeeSaw or make your own in Google Drive! Why use Shadow Puppet EDU for assessment? I think Shadow Puppet EDU is very effective for assessing students. The child is not video recorded, just audio recorded with this app. As powerful as video taping can be, having a video camera in your face while you are trying to perform can be incredibly intimidating. I'm not sure if I always capture a child's true capabilities when the video camera is rolling. However, audio recordings seem to take away an element of raw exposure and make us feel more comfortable when completing a task. Here is an example of a Shadow Puppet piece that was used to assess a five year old's understanding of one-to-one correspondence when counting EM😎JIS on several different slides. Notice how a star pops up and disappears when he is counting. This visually shows when and where the child was tapping as he counted. Shadow Puppet has several different pointer tools students can select when recording. The pointer tool will quickly appear and disappear in the exact location each time the student touches the screen. This quick little activity is very telling! Seth was able to count the objects correctly on the first and last slide. He failed to correctly count all ten soccer balls on the middle slide. This slide had the objects arranged in an array instead of a straight line. Did that throw him off? He knows how to orally count his numbers (FAST too!) but he needed to slow down so he could accurately track the objects. Having this piece of evidence to send home to parents, share with the other teachers Seth works with or even review with the Seth himself can be very meaningful. You can use the built in image search of the app to find images for your slides or you can even take your own pictures. 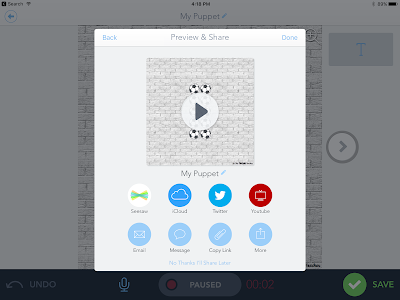 If you are feeling up to it, appsmash using Shadow Puppet EDU by having your students create something in another app and save it to the camera roll. You have the ability to import images and videos. 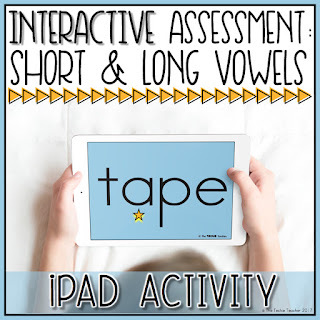 The app even has Common Core aligned activities built in! 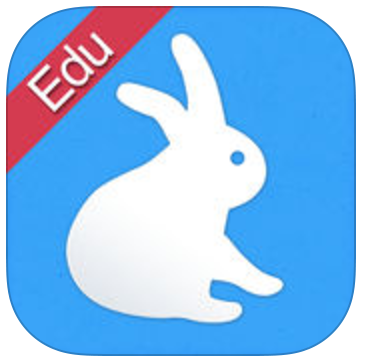 So what do you think about using Shadow Puppet EDU as a way to assess your students?